In the last two decades, breast cancer has become the most popular and well-funded cause in the United States. Government funding for breast cancer research has gone from $40 million in 1981 to $407 million in 1993 to $605 million in 2005 (King, “Ribbons” 87). Since 2005, funding has leveled out, averaging about $600 million per year. In 2012, The National Cancer Institute (NCI) spent $602.7 million on breast cancer research compared to $265.1million and $314.6 million on prostate cancer and lung cancer research, respectively (NCI). Yet it is estimated that only five percent of these research dollars is allocated for cancer prevention and three percent for investigations into environmental causes (Selleck 125; Toxicbust). The vast majority of the funding goes toward early detection, medical equipment, and research that focuses on treatment rather than prevention. This is partly due to the fact that environmental toxicity is not widely acknowledged as a risk factor. According to the Center for Disease Control and the National Cancer Institute, risk factors for breast cancer include genetics, family and personal history, radiation therapy, alcohol, body weight, low physical activity level, race, late menopause, giving birth at a later age, never giving birth, and not breastfeeding. 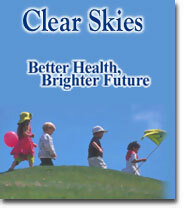 Nothing related to environmental toxicity appears on these lists (CDC; NCI). 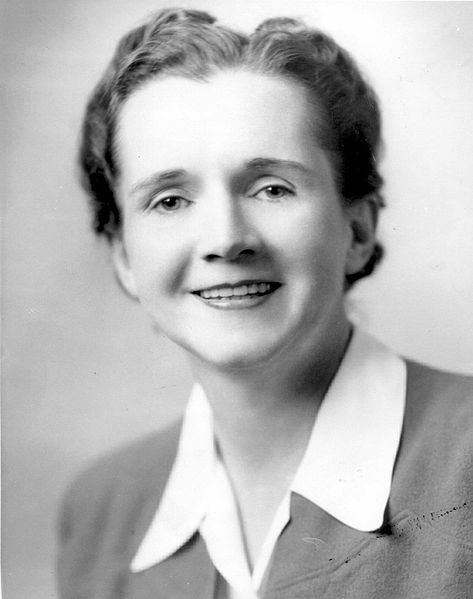 In her seminal book Silent Spring, Rachel Carson declares, “For the first time in the history of the world, every human being is now subjected to contact with dangerous chemicals, from the moment of conception until death” (15). Carson makes this statement in 1962, seventeen years after the conclusion of World War II introduced an unprecedented level of synthetic chemicals into the environment. The rise of chemicals and toxic waste in the United States after the Second World War correlates with the rise of breast cancer rates. A woman’s lifetime risk for breast cancer in the 1940s was one in twenty-two. Today it is one in eight (CDC). And even the low estimate of environmentally related breast cancer cases ceded by skeptics (two percent) still amounts to roughly 4,000 annual breast cancer diagnoses in the U. S. (CDC; Pezzullo 345). Yet despite these statistics, environmental links are downplayed or even absent from the mainstream breast cancer discourse that shapes the way breast cancer is currently perceived and experienced. The marginalization of environmental toxicity as a risk factor for breast cancer is a problem that has largely to do with language. Hegemonic mainstream breast cancer rhetoric avoids framing risk in terms of populations and focuses instead on individualism—individual responsibility, personal narrative, and survivalism. Moreover, even in the discursive space it can claim, environmental toxicity is very difficult to discuss, and its complexity does not lend itself to clear articulation in public, legal, or scientific discourses.This essay explores breast cancer’s relationship with environmental toxicity from the standpoint of rhetoric—rhetoric that is not only deployed in metaphors and narratives, but also where rhetoric is less frequently sought: laws and data. The discursive separation of breast cancer and environmental toxicity is a function of the rhetoric that is persistently and systematically disseminated by the mainstream breast cancer movement. I argue that, despite its near invisibility in public discourse, environmental toxicity is not merely being ignored by the mainstream breast cancer movement, but is central to the construction and communication of its messages;it is the elephant in the room that must never be publically acknowledged. Mainstream breast cancer rhetoric is deeply invested in subduing the subject of toxicity while a small but growing number of advocates such as Breast Cancer Action (BCA) and The Breast Cancer Fund (BCF) are equally invested in exposing it. This rhetorical contest is shaped around efforts to either suppress or establish rhetorics of toxicity. Anthropologist Kim Fortun cites 1984 as a symbolic year for toxicity (1). For one, Ronald Reagan was elected to a second term as president by a landslide, signaling the widespread acceptance of neoliberal trade policies that vitiated the authority of the Environmental Protection Agency. In 1984 author Charles Perrow published his groundbreaking book Normal Accidents: Living With High Risk Technologies, in which he argued that the complexity of our aging industrial infrastructure virtually insures that industrial accidents involving toxic chemicals will become a regular, and indeed normal, occurrence. That same year also witnessed India’s Bhopal disaster, which killed between 3,000 and 8,000 people (estimates vary significantly) and exposed hundreds of thousands to toxic chemicals. To elaborate on Fortun’s suggestion, the Reagan administration not only weakened the EPA, but it also repeatedly disseminated the rhetoric of privatization and individualism, two rhetorical nodes that would come to play a fundamental role in mainstream breast cancer discourse in that they function to shift attention away from environmental causes and toward individual lifestyle choices. Furthermore, the premise of Perrow’s Normal Accidents was almost immediately validated in December of 1984 by India’s Bhopal disaster, a disaster whose aftermath demonstrated some of the unsettling realities that usually accompany such events: a lack of corporate accountability, a slow and convoluted legal process that works in favor of multi-national corporations, the vulnerability of the poor and working class, and the sheer scale and duration that toxic pollution can reach. Added to the symbolism of 1984 was the inauguration of National Breast Cancer Awareness Month (NBCAM) by Zeneka, a subsidiary of Imperial Chemical Industries, Ltd., an international chemical and pharmaceutical company, now called AstraZeneca (Pezzullo 351). An early example of the “pinkwashing” of breast cancer, NBCAM has been, and continues to be, instrumental in cultivating rhetorics of individual responsibility, survival, and hope. These rhetorics elide and confound environmental toxicity, a discourse that tends push the unwelcome topics of prevention, fatality, and collective risk to the fore.In addition to photos of smiling women and children, NBCAM.org’s homepage states, “Today, we remain dedicated to educating and empowering women to take charge of their own breast health” (NBCAM). This statement uses the rhetoric of personal empowerment to place the burden of accountability on the individual, leaving no sense that breast cancer might have environmental causes that affect populations. Today, challenging the hegemony of the mainstream breast cancer movement with rhetorics of toxicity is critical for changing the terms of contemporary breast cancer discourse, and, through that reframing, foregrounding breast cancer’s environmental links. Given the prevalence of chemical use in western industrialized countries, it is no surprise that breast cancer rates are higher in those countries than in underdeveloped ones. And when women from underdeveloped countries move to industrialized ones, their breast cancer rates rise to meet national averages. Furthermore, studies show that the risk for breast cancer is 6.5 times higher for women who live near dumpsites. Generally speaking, breast cancer rates are proportionate to one’s distance from what Sandra Steingraber calls “toxic graveyards” (275-76). Yet despite these correlations, a large public knowledge gap exists between breast cancer and environmental toxicity (Steingraber 271). One reason for this knowledge gap is that toxicity is difficult to represent. It is often undetectable until its damage is irrevocable. It does not lend itself to visual representation because it does not occur as a spectacular event; rather it slowly and invisibly accumulates over time, and exposure to it can go unnoticed for years, even decades (Nixon 2). Moreover, the relative invisibility of environmental toxicity is a difficult subject to situate within legal and scientific discourses—the discourses most heavily relied upon for environmental justice. Law privileges hard, data-driven evidence, which is often impossible to obtain in cases involving toxicity. Since the spatial movement of toxicity is nearly imperceptible, and its temporal movement occurs over decades, proving causation is very difficult. In cases where links can actually be proved, slow litigation processes conflict with immediate health needs, especially for the poor and working class, who have less access to health care. As a result, poor and working class populations experience later detection and higher death rates from breast cancer. Furthermore, the law establishes “acceptable” toxicity levels for industries and consumer products. But what exactly does this mean? What, for example, is the risk of lifetime exposure to “acceptable” amounts of a toxic chemical compared to an exposure of one day or even one year? Do acceptable levels of toxicity differ for children, the elderly, the infirm and pregnant women? Unfortunately, the law is unable to lucidly articulate these ambiguities. The Clear Skies Initiative, The Toxic Substance Control Act, and the Food, Drug, and Cosmetic Act are particularly good examples of how difficult it is for legal discourse to represent and discuss toxicity. Under the TSC Act, for example, the burden is on the EPA to prove “unreasonable risk” to the public before a chemical can be regulated for safety, not on corporations to prove that a chemical is safe before it can be released into the environment. In other words, a potential hazard must be detected before an investigation can legally take place (NRDC). A similar problem exists in the Food, Drug and Cosmetic Act. The FDA’s website makes the following statement about cosmetics containing parabens, which are known carcinogens, often found in feminine beauty products: “If FDA determines that a health hazard exists, the agency will advise the industry and the public, and will consider its legal options under the authority of the FD&C Act in protecting the health and welfare of consumers” (FDA). The trouble with this sort of oversight is not merely its juridical weakness against business, it also represents a language problem., such that law, as it is now practiced in the United States, has the authority to speak about environmental toxicity despite lacking the explanatory power to accommodate its complexities. The FDA’s language of “safe” and “existing hazard” does not adequately capture the behavior of toxicity. Binary thinking, when its logic is applied to toxicity, is an insufficient, even misleading, way to represent toxicity. The law’s logic of safe/unsafe cannot account for a lifetime of exposure to “undetectable” amounts of a toxic chemical. The absence/presence logic of an “existing hazard” fails to explain the temporal ambiguity of toxicity and its slow and invisible diffusion into the environment, whether that environment is residential, rural, or urban. Furthermore, the origins of certain chemicals are impossible to ascertain as these chemicals pass organically through the food chain and become more and more concentrated as they move through each link in the chain (Carson 22-23). I did not have a mother with breast cancer….How come so many women in San Francisco have breast cancer?…You can’t tell me that so many women with a genetic predisposition to breast cancer all got together and moved to San Francisco or Long Island!” (Klawiter 219). Nevertheless, such testimony is inadmissible as scientific data. The fact that scientific research has not discovered irrefutable evidence of environmental links carries far more weight than the simple logic that heredity cannot account for significant disproportions in regional breast cancer rates. A study by the California Breast Cancer Mapping Project (CBCMP) shows invasive cancer rates in Orange County, Western Los Angeles, and the San Francisco Bay area to be ten to twenty percent higher than the state average. Several scientists who worked on the project suspect that exposure to chemicals may contribute to the elevated rates. However, scientists are hesitant to embrace this hypothesis because there is no way to test it; cancer does not develop until decades after exposure, and women move to and away from the area over that time span. Nevertheless, the risk factors listed by the NCI and the CDC, cannot account for these elevated rates in certain geographic regions, and part of the problem is with representation and language. In scientific, legal, and public discourse, we simply do not have a sufficient vocabulary to discuss toxicity, which results in its marginalization as a risk factor. Additionally, the growing alliance between scientific and corporate communities inhibits a transparent discourse about toxicity. Maren Klawiter suggests that the demand for more scientific proof of environmental links to breast cancer is often used as a delaying tactic by corporations. Furthermore, an increasing amount of research funding comes from these corporations, thus steering science away from the academy and toward industrial interests and, perhaps more troublingly, altering perceptions of what counts as scientifically important (Fortun 9). It is often impossible, through the discourses of science and law, to find concrete proof and use it as legal evidence to establish links between breast cancer and environmental toxicity. Yet, perversely, the privilege to speak authoritatively about toxicity is largely limited to the legal and scientific communities. This effectively mutes the voices and the experiential testimony of breast cancer victims. The large, unexplained disparity in regional breast cancer rates are not considered acceptable forms of evidence in the scientific and legal spheres; consequently, they carry little persuasive power in both these and the public sphere. No matter how logical and convincing testimonies are, they are devalued or dismissed by discourses that are unable to accommodate or unwilling to accept narrative and affective forms of knowledge. The hegemonic rhetoric of breast cancer is shaped by what many call the “cancer-industrial-complex,” a conglomerate of charitable foundations, medical associations, government agencies, and corporate interests, mostly pharmaceutical, chemical, and feminine product companies (King “Ribbons” 85). These institutions govern breast cancer rhetoric by framing the discussions through the repetition of key terms. Through this repetition they have an enormous impact on what can be thought and said about breast cancer. The key terms in mainstream breast cancer rhetoric privilege the individual, and they generally fall into three categories: 1) medical recommendations, which focus on early detection, regular mammograms, and treatment rather than cause and prevention 2) the rhetoric of individual responsibility, which focuses on lifestyle choices such as diet and exercise; and 3) militaristic metaphors: battling, fighting, struggling against and conquering breast cancer through heroism and individual courage. It is the rhetoric of being a “survivor.” This third category includes the many personal narratives, memoirs, blogs, and testimonials written by women who have struggled against breast cancer—what Judy Segal suggests has ossified into a genre or a “standard story,” deviations from which are very difficult to tell (8-9). According to Klawiter, the mainstream breast cancer movement is guilty of three forms of obfuscation: first, that early detection—not prevention—is the most effective means for managing the disease. Second, it conceals the fact that many of the most prominent allies and donors of the breast cancer movement actually produce toxins known to contribute to breast cancer and other cancers. AstraZeneca, for example, is one of the world’s largest producers of carcinogenic pesticides (Klawiter 202). In what is known as “cause based marketing,” cosmetic companies such as Avon, Revlon, and Estee Lauder put pink ribbons on their packaging, many of which contain ingredient lists with known carcinogens, such as parabens. The unsettling irony of such products being packaged—indeed, advertised—with pink ribbons needs no elaboration. Third, mainstream breast cancer rhetoric obscures the fact that many of NBCAM’s donor companies are profiting from breast cancer treatment, which cost $16.5 billion in the U. S. in 2010 and is expected to incease twenty-seven percent by 2020 (Yabroff). The most notable example is AstraZeneca, NBCAM’s founder, a leading global producer of pesticides and herbicides and the manufacturer of the most popular cancer drug, Nolvadex. As Phaedra Pezzullo noted, their motive for conducting in-house screenings was to reduce their health care expenditures. Thus, the key terms that suppress the topic of environmental toxicity enable AstraZeneca to profit from the entire breast cancer cycle—its cause, its detection, and its treatment (Pezzullo 353). Aside from being “discursively constructed as a curable disease” (Klawiter xvii), breast cancer is deeply embedded in the sanguine rhetoric of survival. Dominant breast cancer discourse has long expunged the terms “victim” and “patient” as being either too negative or too neutral for a cause about hope and survival. Samantha King wonders about the historical conditions that turned a “stigmatized disease and individual tragedy best dealt with privately to one in which breast cancer is viewed as an enriching and affirming experience during which women with breast cancer are never ‘patients’ but always survivors” (“Ribbons” 86). On an emotional level, survivor rhetoric is very empowering and can be a potent—and potentially valuable— antidote to the demoralizing effects of the disease. The breast cancer movement, however, has evolved into an emotion culture in which hope and optimism leave little rhetorical space for questions, criticism, or skepticism. The holy grail of this optimism is, of course, a cure, and the powerful rhetoric of survival shifts the focus away from causes, which, to use Steingraber’s phrase, are “shrouded in mystery and silence” (273). The irony in disconnecting the cure from the cause is that knowing the causes will facilitate the cure. However, this disconnect is seldom articulated. Survivor rhetoric has a formidable silencing effect that makes it very difficult for dissenting voices to emerge, let alone resonate in a coherent, unalienating register. As Klawiter recounts, the Toxic Links Coalition (TLC), a former alliance of breast cancer and environmental justice activists, learned a valuable lesson in this respect when they launched an “educational picket” at the Susan G. Koman Foundation’s “Run for the Cure” in 1994. The strident tones and angry rhetoric of the protesters appeared to be targeting the participants of the race, who were there in a spirit of charity and optimism (203). The TLC’s message was lost on people who did not know how to contextualize such negative rhetoric in such a hopeful, altruistic setting. Dissenters are viewed as counterproductive extremists raining on an optimistic parade rather than as activists invested in health and social justice for breast cancer victims. Rachel Carson, who herself died of breast cancer, pointed out how hegemonic discourses have a way of representing activists as crazy, militant, and illegitimate. She noted that, “there is a strong tendency to brand as fanatics or cultists all who are so perverse as to demand that their food be free of insect poisons” (178). This is clearly the case with leading breast cancer philanthropists like Susan G. Koman and NBCAM, who cultivate a discourse that refuses to accommodate anger. But of course the reasons behind the anger—toxicity, unacknowledged links, and the paucity of research devoted to cause and prevention—are what survival rhetoric is very adept at suppressing. What is worse than merely marginalizing dissent is exhausting the discursive space in a way that precludes the possibility of dissent altogether. 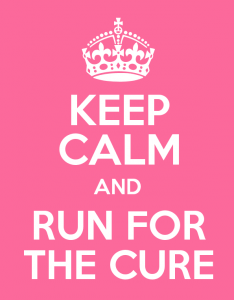 Fundraising, cause-based marketing, and popular fitness events create the perception that the effort and commitment to cure breast cancer is so proactive that any opposition to it appears perplexing. For most participants in the mainstream breast cancer movement, the very possibility of dissent will never emerge because, from their perspective, there is nothing one can rationally object to. And it is the optimistic rhetoric of survival and hope that engenders this perception and helps attract so many people to runs, walks, and other charity events. Barbara Ehrenreich—who rejects the term “survivor”—addresses an ethical problem underlying survival rhetoric: “the mindless triumphalism of ‘survivorhood’ denigrates the dead and the dying. Did we who live ‘fight’ harder than those who’ve died? Can we claim to be ‘braver,’ better people than the dead?” (53).In fact, death is seldom mentioned in mainstream breast cancer discourse, whose survival rhetoric elides the large number of fatalities, the acknowledgment of which might serve as an incentive to demand more research for environmental causes. By emphasizing individual struggle, the rhetoric of survival diverts attention from potential environmental causes. Public education on breast cancer focuses on personal habits and lifestyle choices, not chemical carcinogens (Steingraber 292). Messages disseminated through websites, blogs, and public rallies mostly admonish women to get regular mammograms, which can help with early detection. Breast cancer literature stresses cures while it elides or de-emphasizes cause and prevention. Early detection, treatment, self-examination, and personal habits are put forth as the surest route to health. In fact, the words “cause” and “carcinogen” never appears in any NBCAM literature (Klawiter 202). The Susan G. Komen Foundation’s website features a table that lists three types of factors: factors that increase risk of breast cancer, factors that reduce risk of breast cancer, and factors that are “not related to breast cancer risk.” The table for this third category lists two factors worth examining: one is “exposure to certain types of pesticides and industrial chemicals” and the other is “deodorant/antiperspirant use.” The first conclusion derives from a study limited to organochlorines, and suggests that “most studies” of this environmental pollutant “have found no link between [organochlorines] and breast cancer” (Koman). As for the second “non-factor”—“studies have found no link between deodorant/antiperspirant use and breast cancer risk”—there is no mention of which studies they used, no mention of parabens, and no mention of the fact that there are several studies that have discovered links between breast cancer and parabens, which are sometimes found in deodorants and anti-persperants. The Food and Drug Administration criticized an influential 2004 study by Philippa D. Darbre and Philip W. Harvey that found parabens in breast cancer tissue. According to the FDA, the study did not show that parabens cause cancer. But the FDA’s logic mirrors that of the TSC Act and the FD&C Act, in which “unreasonable risk” needs to be proven before regulatory action can be taken. The frequency with which parabens are found in breast cancer tissue should highlight exposure to parabens as a potential risk factor. At the very least, it should engender concern rather than confidence in the harmlessness of these chemicals. The Koman Foundation website downplays the influence of environmental toxicity by suggesting it is “unrelated” to breast cancer, using selectivity as a means of persuasion. They simply provide some information based on “some studies” of “certain” pollutants rather than exploring what is clearly a potential problem further. This is not only misleading, but it is antithetical to the Koman Foundation’s stated mission to create awareness about breast cancer. If the foundation is invested in this mission, it seems counterproductive to use ambiguous language. It is likewise disingenuous to only acknowledge studies that do not link toxicity with breast cancer while disregarding studies that do. Thus, mainstream breast cancer discourse is doing more than just eliding potential causes; it is actively cultivating ignorance, which is a formidable obstacle in establishing a discourse on toxicity.Fortun observes how this production of ignorance impacts our ability to understand and discuss toxicity: “The cumulative effect of years of proactive ignorance about toxics has left the semiotic space of toxics vacuous. There are too few certified findings, too few points of reference for sense making” (7). Thus, it is not only that the voices invoking toxicity are being drowned out by the rhetoric of survival, individual responsibility, and hard evidence, but these voices also lack the means for accurately, adequately, and coherently articulating toxicity to the public. Both the knowledge content and the knowledge categories need to be developed so that toxicity can be represented in a legible way to a public profoundly influenced by what Samantha King calls “the tyranny of cheerfulness” (Ribbons xxxi). Mainstream breast cancer rhetoric cannot be fully understood without a closer analysis of the corporate influence that underwrites the movement. 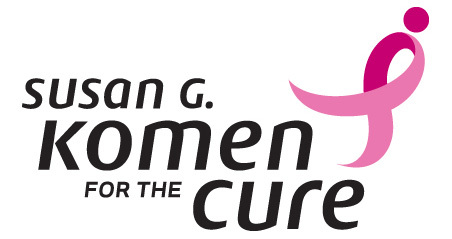 It is easy enough to recognize that the companies who donate money and sponsor public events—like the Susan G. Koman Foundation’s “Run for a Cure”—see a lucrative market in the millions of middle-class white women who participate in these events. Thus, it is not surprising that feminine product companies like Avon, Estee Lauder, and Revlon dominate breast cancer’s “cause marketing” sphere. Women are the primary shoppers in most households, making over seventy percent of household buying decisions, a fact that attracts makers of food, entertainment, and household products to cause marketing (catalyst). What is less apparent, however, is how breast cancer rhetoric speaks directly to the neoliberal ethos of individualism, constructing identities imbued with neoliberal values: the survivor, the responsible individual, the self-motivated volunteer, and the citizen who looks after herself (King, “Doing Good” 295-7). The citizen who relies on herself is less likely to look to government for support. The same citizen who sees a successful cause buttressed by the generosity of corporations and wealthy individuals is more likely to look to the private sector than the public sector for answers. In the 1980s, Ronald Reagan famously declared that government was not the solution to the country’s problems, but that government was the problem. Reagan’s vision is exemplified by cause marketing in the fight against breast cancer as private companies fund and determine the direction of scientific research, shaping the discourse and deciding what counts as knowledge. These private solutions extend to the most private sphere of all—the individual body. Thus, individual fitness is not only emphasized in the prescriptions for personal hygiene and exercise but it structures the fundraising events, which are primarily fitness based. Not only is there “Run for a Cure,” but there is “Row for the Cause,” “Jump for Hope,” and various walk-athons and bike-athons. But according to King, the focus on fitness has a deeper ideological impact: “the popular appeal and cultural significance of these events lie less in their ability to raise money, and more in their capacity to solidify the contemporary articulation of physical health to moral and civic fitness” (298). Rhetorically, King’s argument about neoliberal individualism reflects the work of cognitive linguist George Lakoff, who explains how metaphorical matrices structure ways of thinking and speaking. Lakoff claims, “framing is about getting language that fits your worldview. It is not just language. The ideas are primary—and the language carries those ideas, evokes those ideas” (4). Thus, imbuing breast cancer rhetoric with neoliberal values has a two-pronged effect: it sustains the discourse of personal responsibility and survivorship, and it keeps the critical eye away from externalities like environmental toxicity, a topic that would not only invite cause and prevention to breast cancer discussions, but it would reframe the discussion in terms of populations. It is important to remember that breast cancer is a billion dollar market, and prevention threatens to shrink that market. Conversely, early detection and treatment are highly profitable enterprises. The same individualist logic is operative in consumer advisories on potentially unsafe products containing known carcinogens. Advisories are generally viewed as a victory for consumer advocates, and indeed they are. But the flipside of this victory is that advisories tilt the burden of responsibility toward the individual consumer and away from the manufacturer. In other words, if one becomes ill from using products that contain bisphenol-A plastic, for example, one is responsible for making poor consumer choices, not the manufacturer. From this perspective, advisories are as much a form of risk management for companies as they are a warning for consumers. In keeping toxicity marginalized, spectacle is very important to the breast cancer movement: the pink ribbons, the high profile fundraising and fitness events, the marches, and the ubiquitous cause marketing function as visual rhetoric. One highly visible example of breast cancer spectacle was placing the pink ribbon next to the Washington monument during a “Race for a Cure” event in Washington D.C. 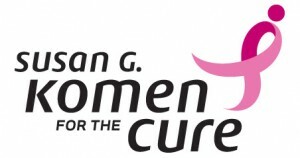 According to King, this image embodies the cancer-industrial-complex: “The ribbon and the monument, side by side, represent an alliance between the nation-state, the nonprofit sector, and the corporate world (for whom the pink ribbon has become a staple of cause-related marketing)” (“Doing Good” 305). This is pinkwashing writ large. The unfortunate irony in the high visibility of the breast cancer movement is that such huge numbers of participants should be an alarming signal as to the seriousness of the epidemic, but instead it serves as a celebration of individual survival and hope (King “Doing Good” 304). That these high numbers do not signal an exigent need to investigate causes speaks loudly to the power of survival rhetoric in both its discursive and visual forms; that in a cause for a fatal illness that claims over 40,000 lives in the U. S. per year, death and the causes of death have become virtually taboo subjects (CDC). we are persuaded of the individuality of breast cancer….As personal as breast cancer is, it is also a disease of populations, enacted and reenacted in individual bodies….Prevention on the scale of populations is a very different enterprise from prevention undertaken one low-fat diet at a time, in one positive person at a time. Personal narratives tend to be impermissible when they include anger, anti-corporate sentiment, un-euphemized acknowledgement of fatalities, and indignation about environmental toxicity. Personal survival narratives are likely encouraged by the fact that breast cancer rhetoric exploits people’s need for hope in the face of a life-threatening illness. The life-affirming rhetoric of survival and hope makes dissent seem hostile toward survival and hope. This was evident in the Toxic Links Coalition’s failed educational picket when their angry slogans seemed like an attack on the runners and their cause. TLC’s message, which was certainly in the runner’s interests, was illegible to the runners. Also, the sheer number of participants in these fitness events, the millions of dollars that are raised for research, and the prevalence of cause marketing creates the sense that an enormous amount of resources and collective effort is serving the interests of breast cancer victims. Such a proactive image forecloses on dissent. Many of the key terms in mainstream breast cancer rhetoric—survival, hope, personal responsibility—are importantly abstract. Abstractions have the capacity to unite people in a cause, elide relevant class distinctions, and prevent materiality from entering the conversation. Furthermore, the message of hope and the promise of a cure shifts the focus to the future and away from the present realities that may be causing the disease (King, “Doing Good” 304). One of these present realities is environmental toxicity, and given its complex materiality and its many discursive challenges, it has little chance of finding traction in a discourse dominated by hope for the future. That is not to say that it is impossible, however. 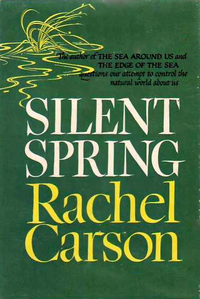 One can look to Rachel Carson as a model for challenging hegemonic discourses, especially when we examine the rhetorical elements of Silent Spring. Carson framed her debate around the question of toxicity, and one of the reasons she was so effective is that she exploited uncertainty (Revkin). With regard to breast cancer, uncertainty-as- rhetorical-device has a twofold effect. It at once casts doubt on the perceived infallibility of science, while at the same time it arouses public apprehension about safety, which is more likely to lead to political action (Revkin). It deftly reverses the strategy of skeptics who claim, as global warming doubters do, that a lack of irrefutable proof is grounds for doing nothing. Also, law and science often do not require investigations until there is tangible proof of a toxic problem. Thus, it is rhetorically effective to expose the uncertainty of discourses whose very authority is based on certainty. More than it iterates what is known about environmental degradation, Carson’s Silent Spring, engenders a sense of disquiet over what is unknown about the chemicals that cause environmental degradation, not to mention what their widespread accumulation might do in the future. That the public may not know it is being poisoned is a powerfully unsettling suggestion, and one with important ramifications. Unsurprisingly, Silent Spring incurred a hostile reception from a wide array of people: executives from chemical companies, journalists, editors from Newsweek and Time, scientists, and a former U. S. secretary of agriculture. But while their invective was designed to discredit Carson as an inexperienced dilettante with possible Communist sympathies, the positive gain was that these detractors had to directly address the question of environmental toxicity in order to defend themselves and disparage Carson. Thus, Carson successfully introduced toxicity—a topic previously ignored or silenced—into the public discourse, therefore legitimizing it as a topic. It was a rhetorical victory, for Carson had framed the debate around toxicity. That was in 1962. Jumping ahead thirty-five years to 1997, the now inactive Toxic Links Coalition had a similar success in the San Francisco Bay area, a region, as stated earlier, with a ten to twenty percent higher rate of breast cancer than the California state average. By politicizing environmental risk, breast cancer activists compelled mayoral candidate Willie Brown to promise a breast cancer summit to address these abnormally high rates. When elected, he fulfilled this promise, and consequently, the summit brought together scientists and activists along with significant media coverage. Many of the panels, instead of being framed around the usual issues of individualized risk, early detection, and medical treatment, were deliberately framed around environmental causes that affect populations. And despite the print media’s efforts to downplay environmental risk, the TLC took advantage of the television coverage with banners reading “Stop Cancer Where it Starts,” “Make the Link,” and “Clean Up the Environment,” not to mention showing graphic images of mastectomy scars. Even though the media and the government refused to acknowledge a definitive link between cancer and the environment, experts had to address the allegations (Klawiter 216-20). The summit created a discursive space for toxicity that chemical industries never want to have to speak in. As a result, toxicity was disseminated into the public consciousness. The Toxic Links Coalition was very effective at opening a rhetorical space that the cancer-industrial-complex works very hard to keep closed. The TLC was known for their “Toxic Tours,” in which they paraded in large numbers to the front doors of local polluters. Knowing the media’s attraction to spectacle, the TLC made sure these tours were a provocative and extravagant scene: large papier mâché images of women with mastectomy scars; some women showing their actual scars; large banners with slogans highlighting toxicity; gaudy costumes; floats; theatrical skits; and grotesque images of morbidity and disease (Klawiter 205-8; Pezzullo 347). This is a form of visual rhetoric meant to persuade the public that there is a narrative outside the sanitized one offered by NBCAM and the Susan G. Koman Foundation that should be taken seriously, that there is a useful place for anger in the breast cancer debate, that toxicity and the environment are underrepresented in breast cancer discourse, and that there are material, external causes of breast cancer and real entities responsible for them. The TLC offers forms of non-traditional evidence: performative, oral, and affective evidence. And these may be the most effective forms of evidence since the temporal and representational limitations of scientific and legal discourse cannot adequately accommodate the complexities and uncertainties of toxicity. In contemporary debates, the rhetorical strategies of the TLC are being carried on by groups like Breast Cancer Action (BCA) and the Breast Cancer Fund (BCF), both of whom emphasize prevention and raise awareness about potentially harmful toxins in the environment and in consumer products. BCF’s website declares “Prevention starts here,” and has the heading “Help us expose and eliminate the environmental causes of breast cancer.” They even target companies like Revlon, demanding that they “get cancer’-causing chemical out of products now” (BCF). Among the priorities stated on the Breast Cancer Action website are decreasing environmental exposure to toxins and fighting for social justice. This is an entirely different rhetorical framework from NBCAM and the Susan G. Koman Foundation. Instead of eliding or downplaying toxicity, BCF and BCA prioritize it. Instead of promoting consumer products, they question the safety of these products. Rachel Carson’s assertion that activists are vulnerable to being branded “fanatics” is even more relevant for today’s breast cancer debate, because in order to challenge a hegemonic discourse with rhetorics of toxicity, one needs to challenge what is widely experienced and perceived as an unimpeachably good cause. The rhetoric of personal empowerment, survival, and hope is very attractive to women who feel dispirited by their illness. But unfortunately, this rhetoric is comprised of manipulable abstractions that divert attention away from environmental causes while leaving little rhetorical space for cynicism, anger, prevention, and toxic talk. By mainstream breast cancer discourse, I refer primarily to the discourse shaped by National Breast Cancer Awareness Month, The Susan G. Koman Foundation, fundraising events, cause-marketing campaigns, and popular websites devoted to breast cancer. While they are now inactive, The Toxic Links Coalition (TLC) were instrumental in creating awareness about environmental causes of breast cancer through both verbal and visual rhetoric. According to an internal memo, Zeneka calculated that they could save $1.1 million in annual health care costs by performing in-house screenings for breast cancer; however, the company only focused on early detection and awareness while ignoring prevention and causes (Pezzullo 351). Parabens are estrogen-mimicking, anti-microbial preservatives used in hygiene products such as shampoo, shaving cream, lotions, deodorant, as well as cosmetics; parabens have been found in breast cancer tumors, at the very least suggesting possible links (Darbre and Harvey). For a thorough account of several such studies, see the 2008 review by Philippa D. Darbre and Philip W. Harvey, who made the following claim in their abstract: “The presence of intact paraben esters in human body tissues has now been confirmed by independent measurements in human urine, and the ability of parabens to penetrate human skin intact without breakdown by esterases and to be absorbed systemically has been demonstrated through studies not only in vitro but also in vivo using healthy human subjects. Using a wide variety of assay systems in vitro and in vivo, the oestrogen agonist properties of parabens together with their common metabolite (p-hydroxybenzoic acid) have been extensively documented, and, in addition, the parabens have now also been shown to possess androgen antagonist activity, to act as inhibitors of sulfotransferase enzymes and to possess genotoxic activity. With the continued use of parabens in the majority of bodycare cosmetics, there is a need to carry out detailed evaluation of the potential for parabens, together with other oestrogenic and genotoxic co-formulants of bodycare cosmetics, to increase female breast cancer incidence” (561). A similar rhetorical victory occurs in the 2003 documentary The Yes Men, made by two activist film makers, Jacques Servin and Igor Vamos. Jacques Servin appeared on BBC News posing as a spokesperson for Dow Chemical, who in 2001 purchased Union Carbide, the company responsible for India’s Bhopal disaster. The purchase dissolved Union Carbide, which made it difficult to take legal action against them since they technically no longer existed. The fictional spokesman for Dow accepted full responsibility for the Bhopal disaster, promised complete financial compensation for every victim, and articulated a research enterprise that would guarantee the safety of all Dow products. As a result of this ruse, real Dow executives were embarrassingly compelled to publicly deny that they were offering any of these reparations. Rick Ness (MAPH’10) taught English composition at Prairie State College for a year after graduating from University of Chicago. He is currently a PhD student in the Literary Studies program at The University of Wisconsin-Madison. His interests include British Romantic poetry, computational approaches to literature, rhetoric, ecopoetics, and biopolitics. Bcaction.org. Breast Cancer Action. 6 Mar 2014. Web. 7 Mar 2014. Breastcancerfund.org. Breast Cancer Fund. N.d. Web 6 Mar 2014. “Breast Cancer Statistics.” Centers for Disease Control and Prevention. Centers for Disease Control and Prevention, 25 Mar. 2013. Web. 19 May 2013. “California Breast Cancer Mapping Project.” California Environmental Health Tracking Program. N.d. 2013. Web. 31 Jan 2014. “Cancer Statistics.” National Cancer Institute (NCI). Cancer.gov. n.d. Web. 5 Mar 2014. Carson, Rachel. Silent Spring. 50th anniversary ed. Boston: Houghton Mifflin, 2002. Catalyst.org. Catalyst, Inc. 6 Mar 2013. Web. 7 Mar 2014. Darbre, Philippa D., Philip W. Harvey. “Paraben Esters:Review of Recent Studies of Endocrine Toxicity, Absorption, Esterase, and Human Exposure, and Discussion of Potential Human Health Risks.” Journal of Applied Toxicology. 28 (2008): 561-578. Ehrenreich, Barbara. “Welcome to Cancerland.” Harpers. Nov. 2001: 43-53. Fortun, Kim. “Late Industrialism: Discursive and Political Challenges.” Biopolitics: Life in Past and Present. A Sawyer Seminar on the Comparative Study of Culture. University of Wisconsin, Madison. 19 Oct. 2012. Work in Progress. Kasper, Anne S, and Susan J Ferguson. Introduction. Breast Cancer: Society Shapes an Epidemic. 1st Palgrave pbk. ed. New York: Palgrave, 2002. King, Samantha. “Doing Good by Running Well.” Foucault, Cultural Studies, and Governmentality. Ed. Bratich, Jack Z., Jeremy Packer, and Cameron McCarthy. Albany: State University of New York Press, 2003. —Pink Ribbons, Inc.: Breast Cancer and the Politics of Philanthropy. Minneapolis: University of Minnesota Press, 2006. — “Pink Ribbons, Inc.: The emergence of Cause-Related Marketing and the Corporatization of the Breast Cancer Movement.” Ed. Reed, Lori Stephens, and Paula Saukko. Governing the Female Body: Gender, Health, and Networks of Power. Albany: State University of New York Press, 2010. Klawiter, Maren. The Biopolitics of Breast Cancer: Changing Cultures of Disease and Activism. Minneapolis: University of Minnesota Press, 2008. Koman.org. Susan G. Koman. N.d. 2014. Web. 6 Mar 2014. Lakoff, George. Don’t Think of an Elephant! : Know Your Values and Frame the Debate: the Essential Guide for Progressives. White River Junction, Vt.: Chelsea Green Pub. Co., 2004. NBCAM.org. National Breast Cancer Awareness Month. Astra Zeneka Health Care Foundation. 2013. Web. 6 Mar 2014. Pezzullo, Phaedra. “Resisting ‘National Breast Cancer Awareness Month’: The Rhetoric of Counterpublics and their Cultural Performances.” Quarterly Journal of Speech 89.4 (2003): 345-365. Revkin, Andrew C. “How Rachel Carson Spurred Chemical Concerns by Highlighting Uncertainty.” New York Times. 27 Sept. 2012. Web. 16 Dec. 2012. Segal, Judy Z. “Breast Cancer Narratives as Public Rhetoric: Genre Itself as the Maintenance of Ignorance.” Linguistics and Human Sciences, (2007): 3.1. 3-23. Steingraber, Sandra. “The Environmental Link To Breast Cancer.” Breast Cancer: Society Shapes an Epidemic. Ed. Kasper, Anne S, and Susan J Ferguson. 1st Palgrave pbk. ed. New York: Palgrave, 2002. Toxicbust.org. Plumb Pictures. 2006. Web. 6 Mar 2014. “U.S. Breast Cancer Statistics.” Breastcancer.org. 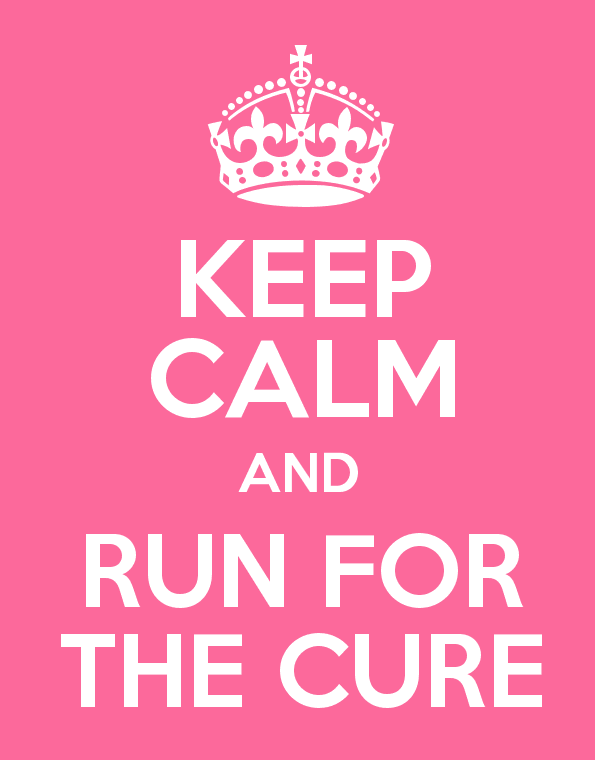 Breastcancer.org, 30 Oct. 2012. Web. 19 May 2013. U. S. Food and Drug Administration. FDA.gov. 2014. Web 7 Mar 2014. “U. S. Environmental Laws.” National Resources Defense Council. nrdc.org. n.d. Web 26 July 2013. Yabroff, Robin K., Jennifer Lund, Deanna Kepka, Angela Mariotto. “Economic Burden of Cancer in the US: Estimates, Projections, and Future Research.” National Institute of Health. National Center for Biotechnology Information. 1 Oct 2012. Web. 7 Mar 2014.